Streaming music services are getting more popular. How much more popular would they be if they were cheaper? Spotify will start finding out on Tuesday. The subscription music company is cutting the price of its premium service in half, from $10 to $5 a month, for college students in the U.S. The offer is meant to cover just about any student in four-year, two-year or junior college, and is good for up to four years. 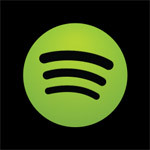 Spotify will use verification service SheerID to make sure anyone who applies for the discount is enrolled. To my mind, this looks like Spotify’s most aggressive growth gambit in the U.S. since it launched here in 2011 with help from Facebook. Since then, it has added at least one million paying American subscribers, but by the company’s own admission it would like many more. So targeting a pool of 22 million college students makes some sense.